To contact Kris about any of his books or to ask about getting a signed copy, please click here. Galveston survi ved the Great Depression with a healthy dose of baseball, boll weevils and bootleg business. Farmers like future Galveston Buccaneers star Buck Fausett fled the insect infestation of North Texas for the citys sunny shores along with throngs of visitors eager to visit Sam Maceos clubs and catch a ballgame. Galvestonians had a long love affair with Americas favorite pastime, fielding the first game played in the state. 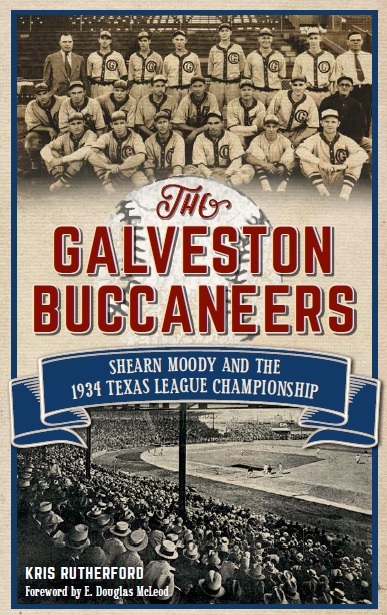 Cotton heir Shearn Moody purchased the Buccaneers in 1931 and turned the languishing squad into a dominating force that won the 1934 Texas League Championship. Author Kris Rutherford weaves a captivating history of the Moody family, a team of talented players and the island that claimed them. At the close of the nineteenth century, railroad expansion in Texas at once shrank the state and expanded opportunities, including that of Texas League Baseball. 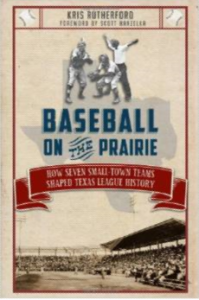 Previously, the major cities monopolized Texas minor-league ball, but with the rails came small-town teams without which the league may have floundered. Sherman, Denison, Paris, Corsicana, Cleburne, Greenville and Temple teams produced some of the Texas League’s greatest players and provided unprecedented statewide interest. The 1902 Corsicana Oil Citys was one of the most successful teams of the time, claiming the second-best winning percentage and baseball’s most lopsided victory, 51–3 over Texarkana’s Casketmakers. In its only year in the league, Cleburne won the league championship and team owner Doak Roberts discovered the great Tris Speaker. Kris Rutherford pieces together the Texas League’s early days and the people and towns that made this centuries-old institution possible. 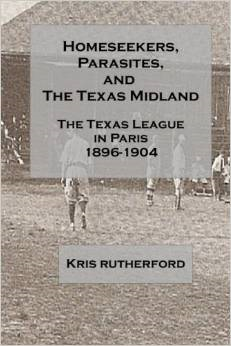 For five seasons at the turn of the twentieth century, Paris, Texas, played a central role in the development of Texas League baseball. Filled with game results, statistics, and player biographies, this book recounts the colorful personalities and events that shaped Paris baseball in this forgotten era.